lille. Clashes took place Wednesday evening in Paris in conjunction with a new demonstration by opponents of the marriage law for all, leading to a dozen arrests. In Lille and Bordeaux, two bars were ransacked . 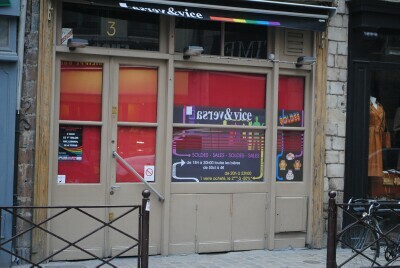 Three employees of a gay bar Vise Versa center of Lille were slightly injured Wednesday, April 18 evening during an attack by four men who were then arrested. Another attack in a gay bar took place in Bordeaux. The attack took place around 22h, when four individuals from 25 to 35 years, shaved, tattooed "arrived at the bar. Gay bar in the Go West, located Dufour-Dubergier Street was the target and the scene of violence. A man was slightly injured. There have been several demonstrations in France against gay marriage that will soon be voted. The demonstrations are apparently manipulated by right-wing and Christian (charitable?) associations. The bars are now back open just as if notting happen. France is shocked. Also pro-gay politicians are threatened.